This stylish Liverpool FC Bedside Lamp is the perfect finishing touch for any Red's fans bedroom. The lamp is just right for bedside tables, desks or shelves and the flexible neck means you can angle the light to suit you, making it ideal for reading, doing homework or just creating the perfect ambience! 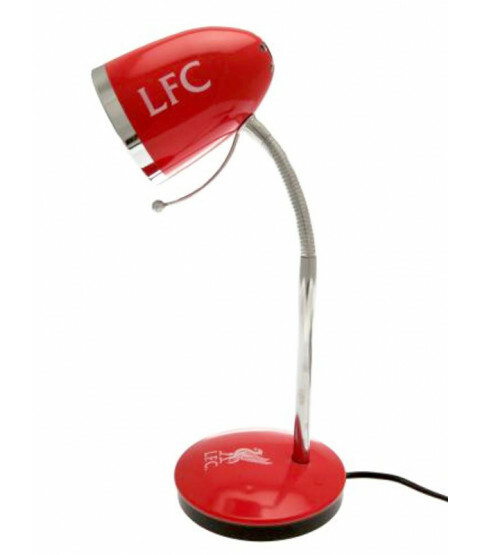 The lamp comes in Liverpool's red and white colours with the club crest featuring on the base and is mains operated with an easy to use power switch situated on the cord.